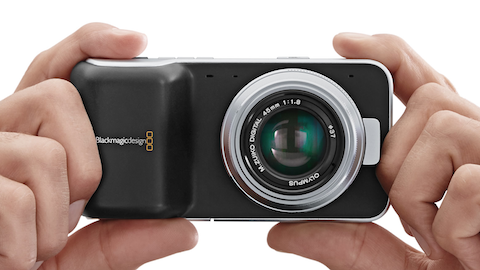 No surprise what my top most interesting product of NAB 2013 is: the BlackMagic S16 Pocket Cinema Camera. No surprise it's of interest but I don't think many people saw this one coming. For about a grand you get a pocketable video camera that records with 13 stops of dynamic range in lossless format to cheap SD cards and takes micro-four thirds lenses. Name one filmmaker who isn't intrigued by the idea of a cinema quality camera that fits in your pocket. If it delivers on its promise of being small enough to carry anywhere but flexible enough and adaptable to scale into the heart of a full on film rig, BlackMagic are going to sell thousands! The biggest issue I see is BlackMagic's reputation. In my opinion they are the most innovative camera manufacturer out there today - and they are out there. They aren't constrained by decades of previous designs or a huge current camera lineup that they have to be careful slotting into without rocking the boat too much. As a result we are seeing revolutionary cameras from BlackMagic. On the downside, they don't have decades of R&D and manufacturing know-how under their belts and they seem to be rushing their products to market. They're catching a lot of press but they're also getting something of a reputation for shipping beta hardware with an understanding that they'll fix the software at some later date. The jury is still out but I can't wait to read review from real-world users of this camera when it ships this summer. 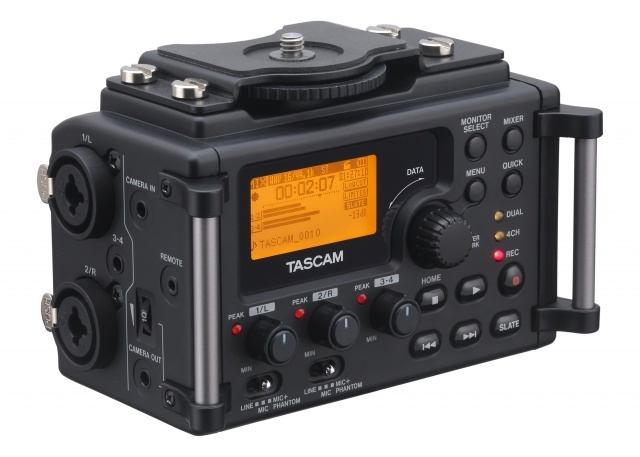 Is Tascam's new field recorder revolutionary or just a DR-40 in a fancy frock? It does share a lot of the features and specifications of the DR-40 but that's not a bad thing. The DR-40 has been over-shadowed by the Zoom H4n although they are very similar and the Tascam is the best part of $100 cheaper than the Zoom. While both the Zoom H4n and DR-40 are used by many, many HDSLR videographers, using them has always been a little tricky as is attaching them to your camera or rig. The DR-60D shows that Tascam has been listening to videographers; the aesthetic and UI both seem perfectly suited filmmakers and there are several features that will be very useful. Currently you can't find the DR-60 for less than retail which, at $350 is $80 more than the street price of a H4n and $150 more than the DR-40. At that price I see a lot of Guerrilla filmmakers sticking with the less convenient form-factor recorders. Once the street price drops $50 or more things will start to be interesting. The takeaway here is that manufacturers are listening to enthusiast filmmakers. Hopefully we'll be seeing even more of these kind of products geared towards our use-cases instead of us having to adapt devices not designed for our purposes. At $15000 most guerrilla filmmakers are not going to rush out and buy the much-hyped Movi M10 digitally-stabilized camera gimbal support. It does look amazing though as anyone who has tried to fly their DSLR on a GlideCam without a lot of experience can attest (I count myself among that number). The buzz from the show was that the steadicam operator's days were numbered and, while this is probably a huge exaggeration the promise of being able to run and gun with dolly-like stability is intriguing. Hopefully the M10 is like looking at the new S-class Mercedes you will never be able to afford: many of the features you see in the top of the line Merc that seem space-age today, will be commonplace in a few years. We live in hope. A couple of the most read posts I have on this site have to do with overcoming render issues many of us had with Sony Vegas Movie Studio. It was amiss of me not mention that I upgraded to Sony Movie Studio Platinum 12 in the summer of 2012 and that it was the first rev of the software I got to render complex projects cleanly without having to hack all those dll files. There are two big changes in my mind: first they dropped 'Vegas' from the name and second, this consumer level software went 64-bit. Why is 64-bit such a big deal? Most modern versions of Windows are 64-bit and without this feature they are severely limited in the amount of memory they can use. In previous versions of Movie Studio we were running 32-bit programs often on a 64-bit OS. That's OK but it means that the 32-bit program can't use all the memory that you've installed. It also means that when that 32-bit program reaches the limit of the memory it is allowed to use, but it really needs more, strange things can happen and often these resulted in render errors. Sony made their consumer level product 64-bit and I speculate that this is the main reason that I can render fine in version 12 of Movie Studio. This is why I'm totally recommending this upgrade to anyone on a 64-bit version of windows - it's a small price to pay for the performance and stability gains. That said, it's still not fast. I recently switched to Adobe Premium Production Suite and the combination of Premiere and Media Encoder blows Movie Studio away. But that comparison is a little unfair is the suite costs a fortune compared to Sony's product. If you're looking for a great value NLE I heartily recommend Movie Studio 12. In first place has to be my iPad. I had the first generation of the iPad and it was fun, but I got the iPad 3 in the summer and it fulfilled the promise the original iPad hinted at. Of course, Apple made it old-tech two months later when they released the new iPad and we're already hearing word of yet another iteration early in 2013 which makes me a little angry but then again, when I'm using the iPad 3 (and I use it a lot) I don't feel like I'm using old-tech. The retina screen is just beautiful - it's the end of the era of being able to see pixels. It's powerful enough to work on and play on. I do like my iPhone but since the iPad 3 came into my life the iPhone is something I use to text and make calls and if I use it for anything else it feels like a compromise I have to make until I'm back with my beloved iPad. The iPhone is just a bit squinty to my old eyes whereas, the iPad may not be small enough to go in a jacket pocket but I see why Mr Jobs thought the iPad's screen was the perfect size. It's great for watching video, making music, it's effortless for Skype, great for Pinterest and Flipboard, it is my preferred interface for dealing with my email and calendar. Typing on the glass keyboard is a compromise but one you quickly adapt to but with a bluetooth keyboard that compromise disappears and so Google Docs, and Celtx become all the more useful. I'm sure it's not perfect for everyone but for me I am now lost without my iPad. It has largely replaced my laptop: I either use the iPad or wait until I'm back at one of my desktops. I didn't get it when it first came out ("Why would I want a massive iPhone that can't make calls?") but now I get it. Just like the iPad makes more heavy duty devices less relevant, Lightroom makes Photoshop seem slow and cumbersome. There are not that may pieces of software I love (I like a lot but how many do I 'love'? Not that many.) but I count Lightroom 4 among their number. Once you get used to it, it is amazingly fast to do 95% of what I need to do with my images. Photoshop is amazingly powerful and fully featured but it contains so many functions that are irrelevant to most photographers. I'm sure I haven't tried half of what PS can do but I feel like I use all of Lighroom's features without missing much. It has made going through hundreds of pictures after an event much more manageable and without it most of my images would never get beyond being downloaded in RAW format to my server and then forgotten. The price for such a professional tool makes it so inclusive; as PS has become such a significant expense it is sometimes hard to justify purchasing, especially now LR does most of what I need. If Adobe adds layers and brushes I may abandon PS forever - I guess that's why they won't be adding those features. This is hardly an item of tech but it is a device that's been in my bag and used daily for about a decade now and its looks don't give away its age. Any geek worth their salt needs a multi-tool they can strip a PC down with, or cut pesky cable ties single handed, or any of a half-dozen tasks that used to send us to our tool box every day. For me that tool is made by Leatherman and the Charge is the model with all the tools I need. How did we survive without DropBox? I used to have a flash-drive in my pocket at all times, but Dropbox is way more than a cloud version of a thumb drive and survives the washing machine much better to boot. It is my go-to service when I need to save items I need to access from anywhere but it has also become the service I use to share projects that are works in progress. That could be a video I want notes on from stakeholders before it goes live on YouTube, or the way I collaborate with partners even though we don't live in the same time zone, and the way I can effortlessly move items between devices and OS'es - PC to Mac, desktop to iPhone. Dropbox has quickly gone from a novelty to a daily essential. Much as I love Dropbox it's neither big enough, nor fast enough for the huge video projects I work on, need to backup and to transport between my office and home. I had been using old school external hard drives - the big ones that need a separate power supply and take up half your bag - when I made the discovery that these small, laptop drive based drives were no small enough, fast enough and cheap enough to replace my old drives. I love that they don't need a separate power supply and that you can get a terabyte for about $80. Until the cloud becomes faster and cheaper for the amount of storage I need, these drives make an elegant stop-gap. I know 2012 was the year of the MKIII and, as I write this, the 4 year old MKII has just been officially retired, but I still use my MKII's daily both for stills and video and don't see the need to replace or retire them just yet. 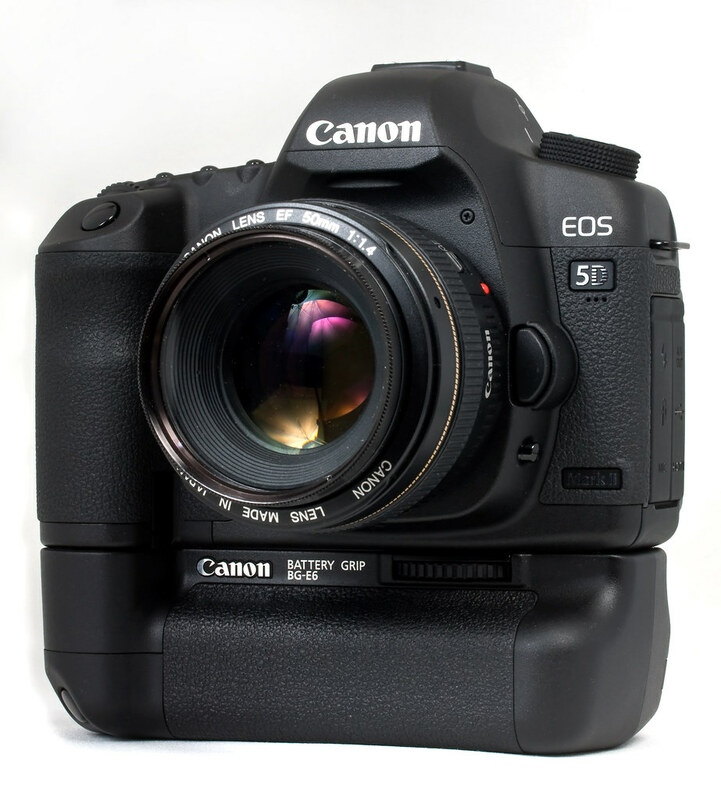 This camera made me a better photographer and it taught me about video production. 2012 was the year this kind of multi-media production officially became part of my work remit so I have the MKII to thank for getting me out of the coding trenches (at least until they realize I don't know what I'm talking about). It's not often that a high tech gadget has such a long shelf-life. Work had been promising my this software since 2011 but in 2012 they finally delivered. Before that I had been making do with the consumer software Photoshop Elements and Sony Movie Studio. Both taught me a lot but I kept hitting problems with both that getting the professional software has helped overcome. I no longer have to leave a day just to render a project in the fear that it won't complete or it will introduce glitches. Premiere had a pretty steep learning curve but now now going back to Movie Studio feels like going from a car to a push bike. I'm glad I didn't have to buy it myself as it is quiet spendy but oh, so worth it. There are several apps I use daily on the iPad and Flipboard is the ideal way to consume all sorts of niche and mainstream news. Flipboard is the modern Newspaper. If Flipboard is the modern newspaper then Downcast is the modern radio. Since TiVo came along I haven't watched live TV except in hotel rooms or at my parents house since. I still listen to NPR but not live anymore. I've been a follower of podcasts for years but Apple's idea of over the air syncing left a lot to be desired. Downcast was my stopgap until they sorted it out but now, even though Apple have their own podcast app, I'm sticking with Downcast. I know it's the year of the new Apple ear-buds and super-expensive, rapper-endorsed headphones but my HD 280's are the last in a long line of Sennheiser headphones I've owned. They're not for going out but if you need to monitor audio in a loud environment their ear cups seal out most of the room noise. If you have to mix or edit on headphones they are naturally uncolored. They're boringly black but affordable and comfortable and another piece of tech I use daily and am glad for.